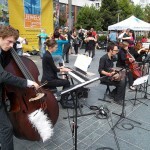 The Bay Area has a lot of Tango dancers. But we would not know it if we attend the same venues and see the same people all the time. 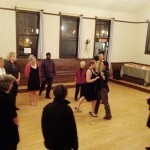 Only upon venturing out of ones usual spots does it become obvious the abundance of tango dancers in the Bay Area. Someone mentioned to me the other day that there were three main groups in Bay Area Tango (maybe more based on geographic location). He went on to describe them as the “older”, the “younger” and the “queer”. Each group has their favorite milongas and its a rare few that draws all the groups. 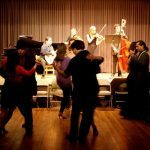 A beautiful thing happens when all the “groups” show up at the same milonga… there are suddenly a lot more potential dance partners. 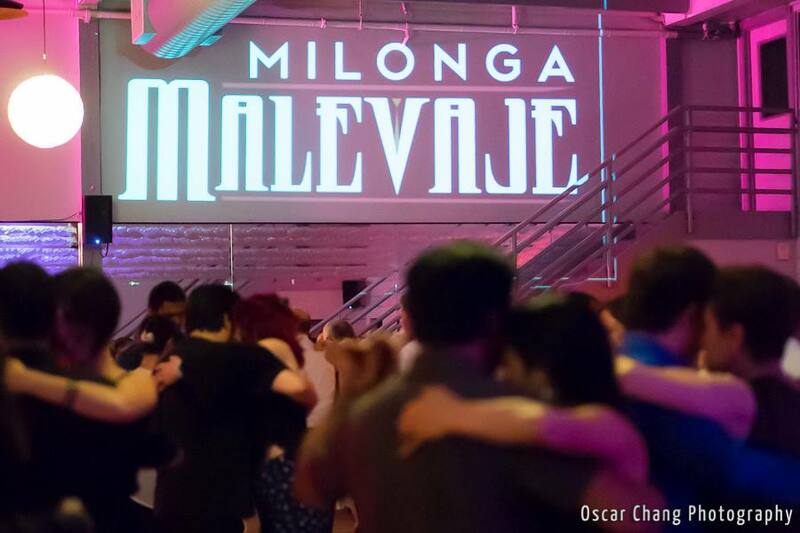 The newly opened Milonga Malevaje held at The Metronome Dance Collective on Thursdays has the potential to be a uniting milonga. 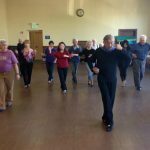 The Metronome is a true ballroom, hosting a variety of dance classes every day of the week and boasting a large wood dance floor plus smaller rooms for practice. Over the years a few different milongas have been hosted here, some with varying success. The Late Shift (from 2007 – 2012) run by David and Mariana was quite successful and one of my personal favorites. 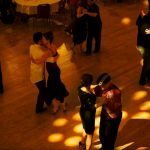 I attended this milonga when visiting the Bay Area back in 2007 and remember distinctly sitting on the couches (once upon a time there were couches) and being amazed and inspired by the dancers before me. So yes, perhaps I am a bit partial to this venue. Their also wanted to approach the Metronome with a new perspective and immediately their thoughts turned to the sound and lights. 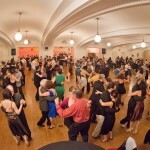 These were going to be an important factor in making that venue a successful milonga. Ramada when on to say, “it’s all in the details and it’s amazing how lighting can affect a person’s mood”. I wholeheartedly agree! The venue is spacious and can hold a lot of people. Parking is plentiful on the street and it’s free. The neighborhood is relatively safe and quiet. The Potrero Hill location is near the freeway and also on the bus line. The Metronome ballroom is LGBT welcoming. The dance floor is great! One of the best in the city. The environment is friendly and the layout lends itself to easy socializing. Its nicely decorated with lots of tables and chairs (and the “Milonga Malevaje” projection on the wall really adds to the ambiance). They offer both Beginner and Intermediate/Advanced classes held in different rooms. 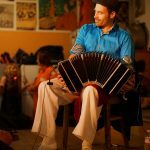 The hosts are experienced: Adolfo, Glenn and Ramada have all been involved in the Bay Area tango scene for a long time, thus they not only know what it takes to create a great milonga, they are well connected to the community creating a desire for people to support their events. 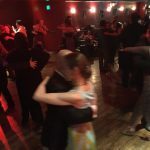 This milonga is still in its initial stages and most need at least a year or more to “settle”, if you will, and create a true group of regulars. 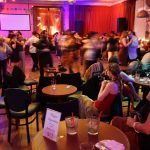 However, I can definitely see this place being the milonga that everyone will attend and perhaps even inspire and influence a few new dancers too.